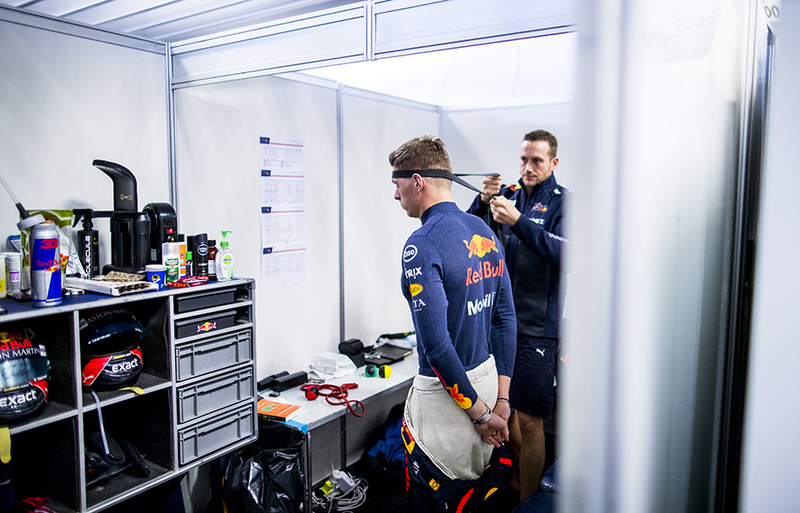 Max Verstappen of Netherlands and Aston Martin Red Bull Racing prepares inside his changing room for the practice for the Brazilian Formula One Grand Prix at Autodromo Jose Carlos Pace on November 09, 2018 in Sao Paulo, Brazilian. 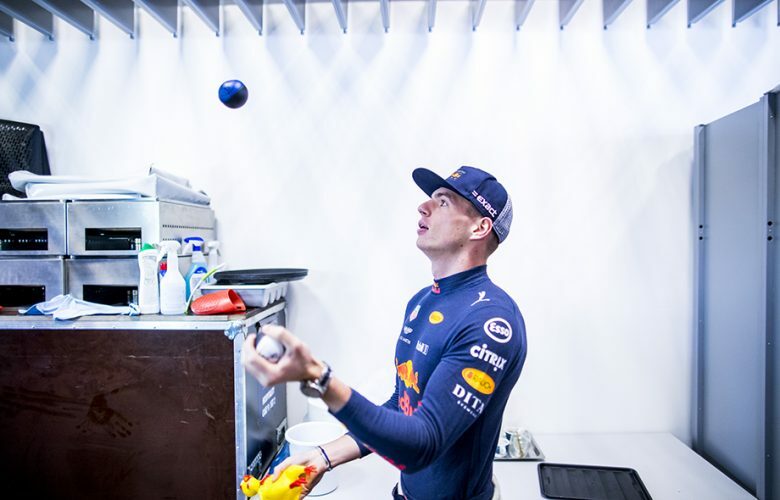 Max Verstappen of Netherlands and Aston Martin Red Bull Racing prepares for the practice for the Brazilian Formula One Grand Prix at Autodromo Jose Carlos Pace on November 09, 2018 in Sao Paulo, Brazilian. Max Verstappen of Netherlands and Aston Martin Red Bull Racing steps into his RB14 during practice for the Brazilian Formula One Grand Prix at Autodromo Jose Carlos Pace on November 09, 2018 in Sao Paulo, Brazilian. Max Verstappen of Netherlands and Aston Martin Red Bull Racing drives out of the garage during practice for the Brazilian Formula One Grand Prix at Autodromo Jose Carlos Pace on November 09, 2018 in Sao Paulo, Brazilian. Max Verstappen of Netherlands and Aston Martin Red Bull Racing drives his RB14 during practice for the Brazilian Formula One Grand Prix at Autodromo Jose Carlos Pace on November 09, 2018 in Sao Paulo, Brazilian. 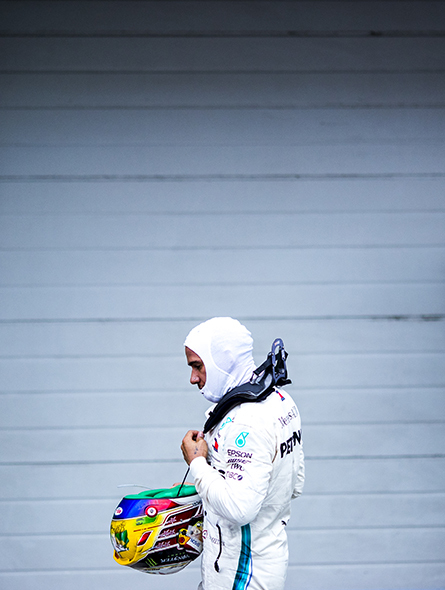 Lewis Hamilton of Great Britain and Mercedes AMG Petronas drives out of his garage during practice for the Brazilian Formula One Grand Prix at Autodromo Jose Carlos Pace on November 09, 2018 in Sao Paulo, Brazilian. 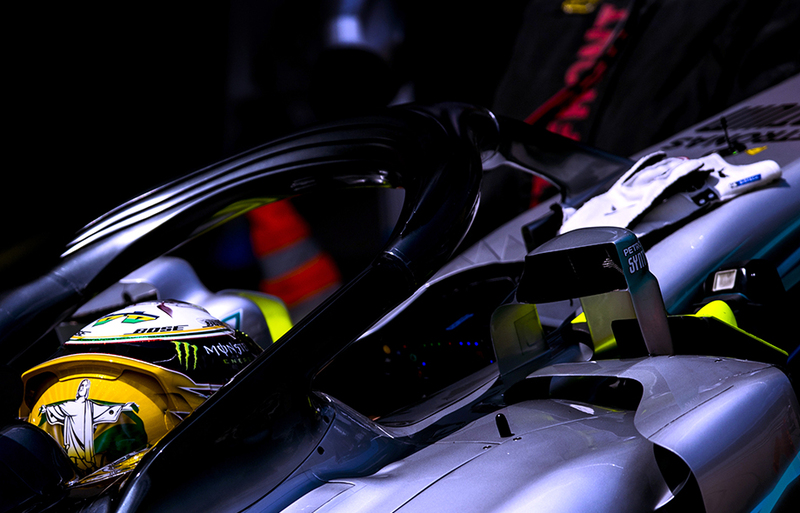 Lewis Hamilton of Great Britain and Mercedes AMG Petronas during practice for the Brazilian Formula One Grand Prix at Autodromo Jose Carlos Pace on November 09, 2018 in Sao Paulo, Brazilian. 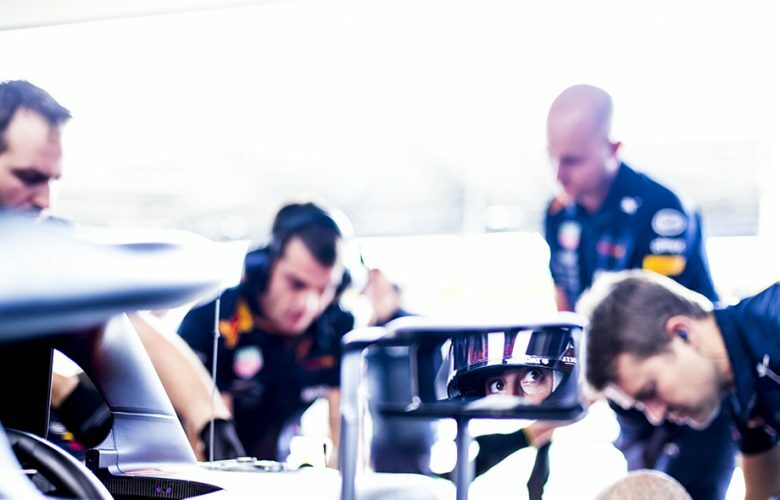 Daniel Ricciardo of Australia and Aston Martin Red Bull Racing is seen reflected in his mirror during practice for the Brazilian Formula One Grand Prix at Autodromo Jose Carlos Pace on November 09, 2018 in Sao Paulo, Brazilian. 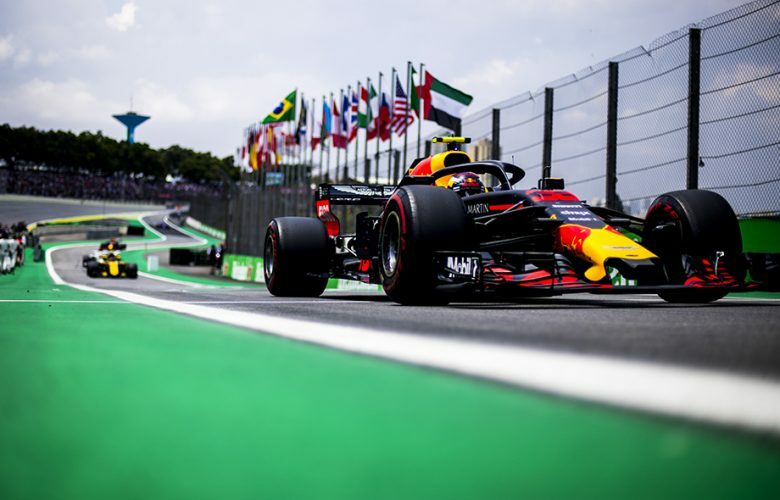 Daniel Ricciardo of Australia and Aston Martin Red Bull Racing drives out of the garage during practice for the Brazilian Formula One Grand Prix at Autodromo Jose Carlos Pace on November 09, 2018 in Sao Paulo, Brazilian. 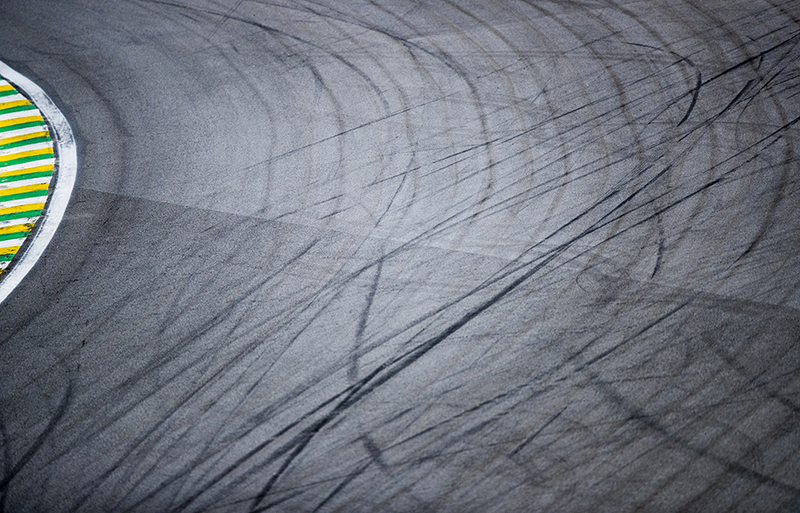 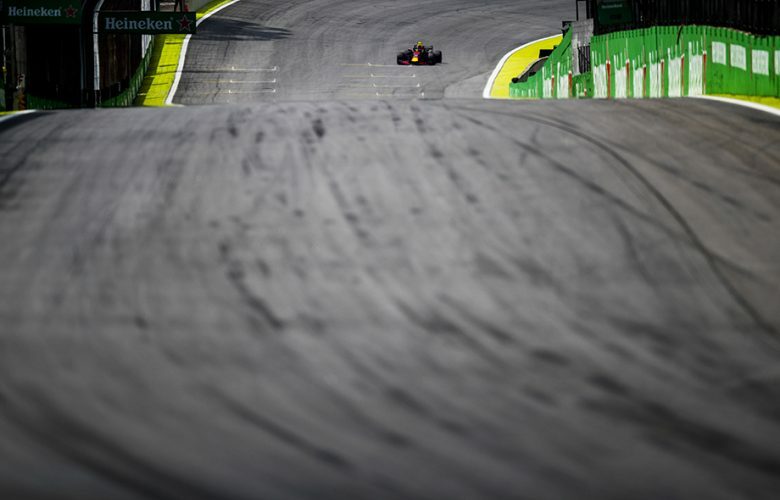 Tyre marks on the track surface during qualifying for the Brazilian Formula One Grand Prix at Autodromo Jose Carlos Pace on November 10, 2018 in Sao Paulo, Brazilian. 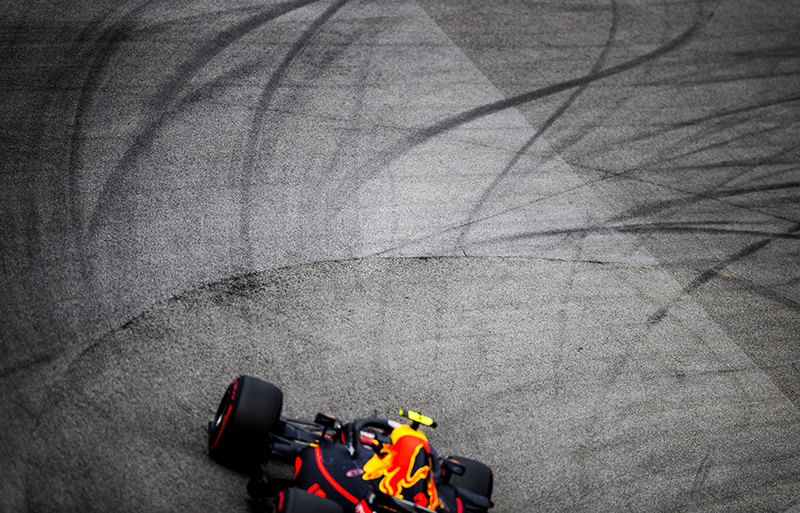 Daniel Ricciardo of Australia and Aston Martin Red Bull Racing drives his RB14 during practice for the Brazilian Formula One Grand Prix at Autodromo Jose Carlos Pace on November 09, 2018 in Sao Paulo, Brazilian. 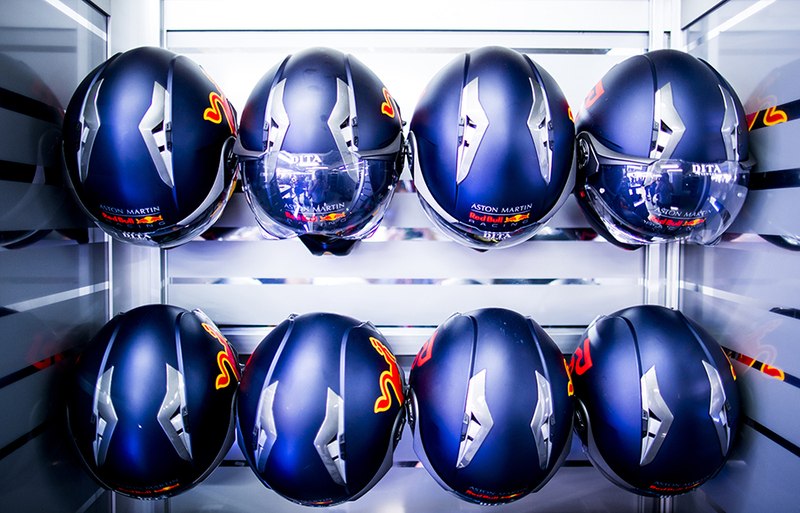 Crash helmets of the Aston Martin Red Bull Racing mechanics are pictured in the garage during practice for the Brazilian Formula One Grand Prix at Autodromo Jose Carlos Pace on November 09, 2018 in Sao Paulo, Brazilian. 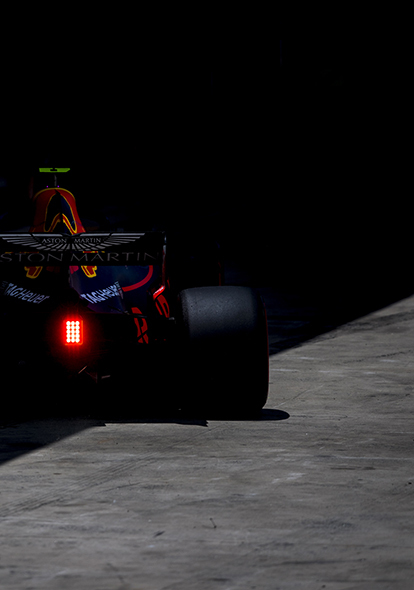 Max Verstappen of Netherlands and Aston Martin Red Bull Racing in the pit lane during practice prior qualifying for the Brazilian Formula One Grand Prix at Autodromo Jose Carlos Pace on November 10, 2018 in Sao Paulo, Brazilian. 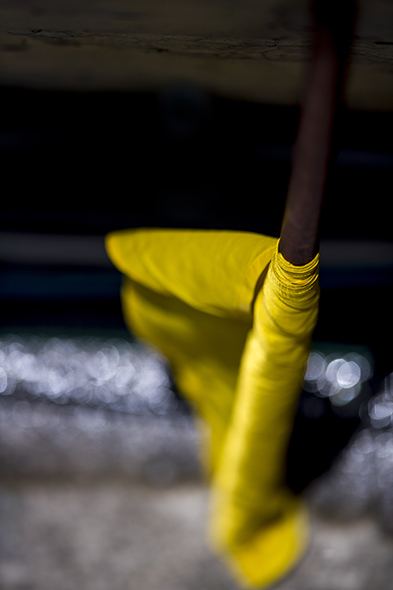 A yellow flag is seen during practice for the Brazilian Formula One Grand Prix at Autodromo Jose Carlos Pace on November 09, 2018 in Sao Paulo, Brazilian. 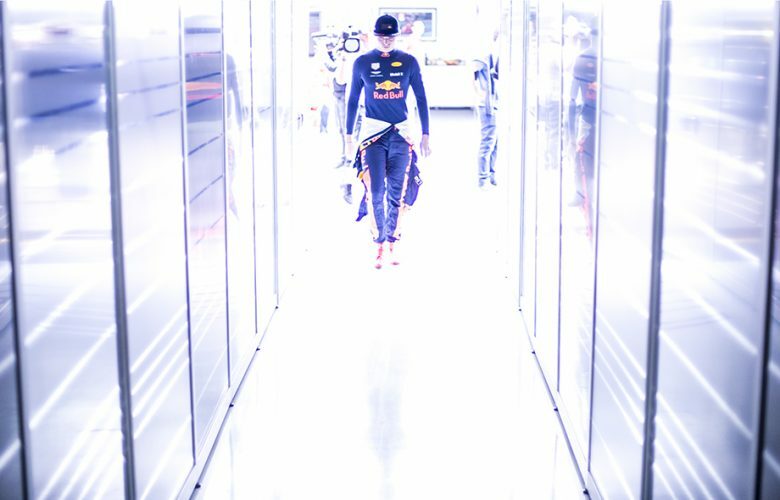 Max Verstappen of Netherlands and Aston Martin Red Bull Racing enters the garage during practice for the Brazilian Formula One Grand Prix at Autodromo Jose Carlos Pace on November 09, 2018 in Sao Paulo, Brazilian. 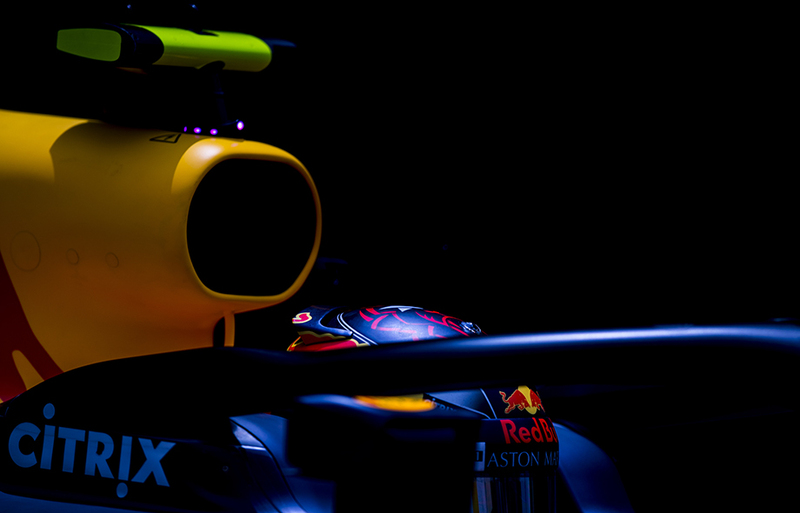 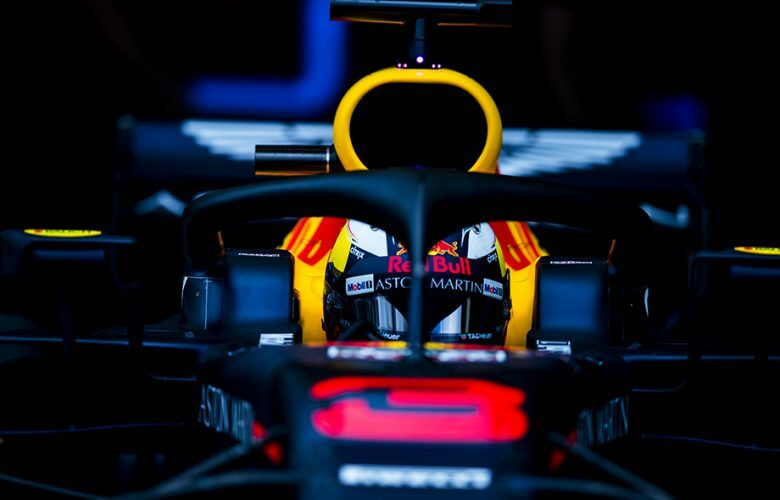 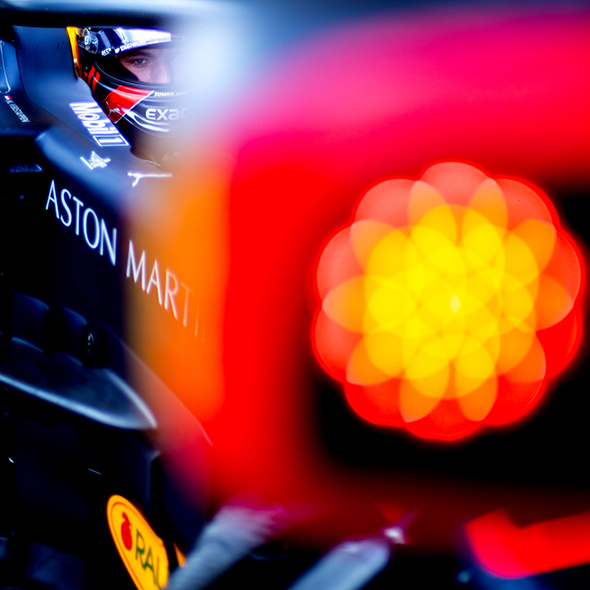 Max Verstappen of Netherlands and Aston Martin Red Bull Racing waits to step into his RB14 during practice for the Brazilian Formula One Grand Prix at Autodromo Jose Carlos Pace on November 09, 2018 in Sao Paulo, Brazilian. 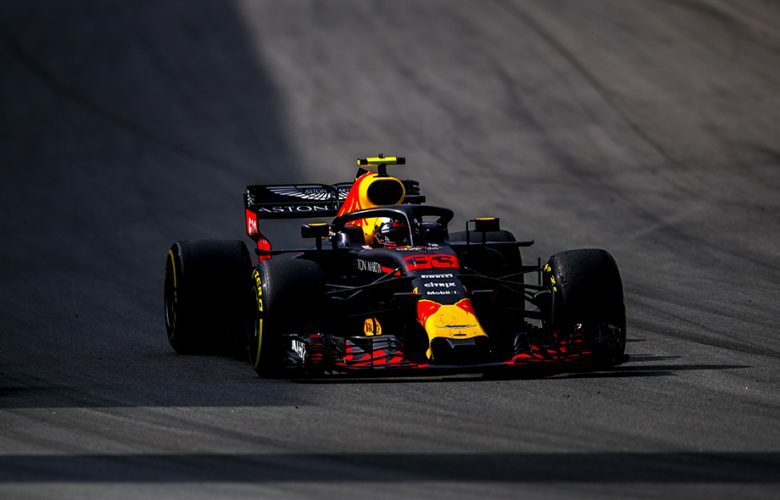 Max Verstappen of Netherlands and Aston Martin Red Bull Racing drives his RB14 during qualifying for the Brazilian Formula One Grand Prix at Autodromo Jose Carlos Pace on November 10, 2018 in Sao Paulo, Brazilian. Max Verstappen of Netherlands and Aston Martin Red Bull Racing drives in the pit lane during practice for the Brazilian Formula One Grand Prix at Autodromo Jose Carlos Pace on November 09, 2018 in Sao Paulo, Brazilian. 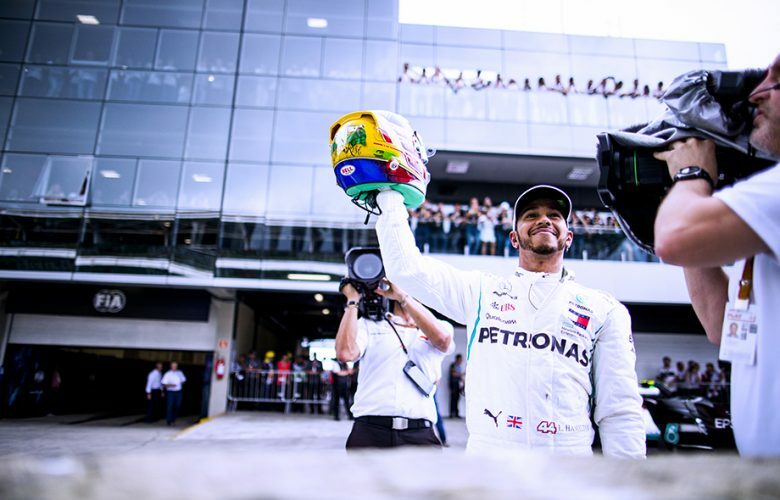 Lewis Hamilton of Great Britain and Mercedes AMG Petronas celebrates after claiming his personal 82nd and his team's 100th Pole Position during qualifying for the Brazilian Formula One Grand Prix at Autodromo Jose Carlos Pace on November 10, 2018 in Sao Paulo, Brazilian. 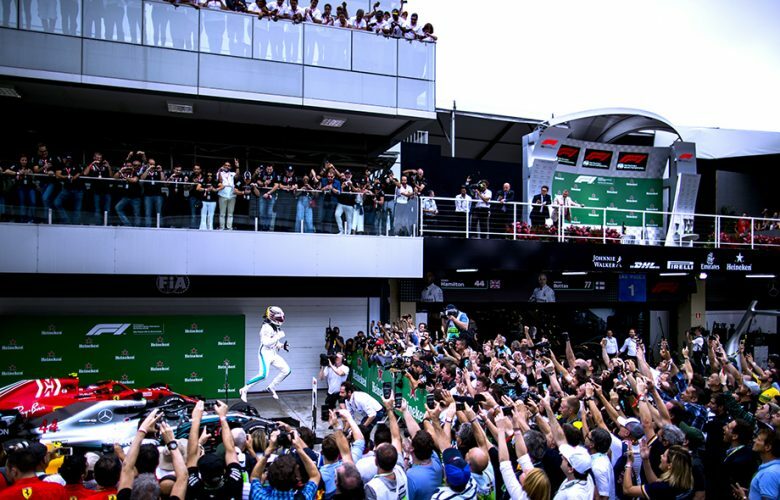 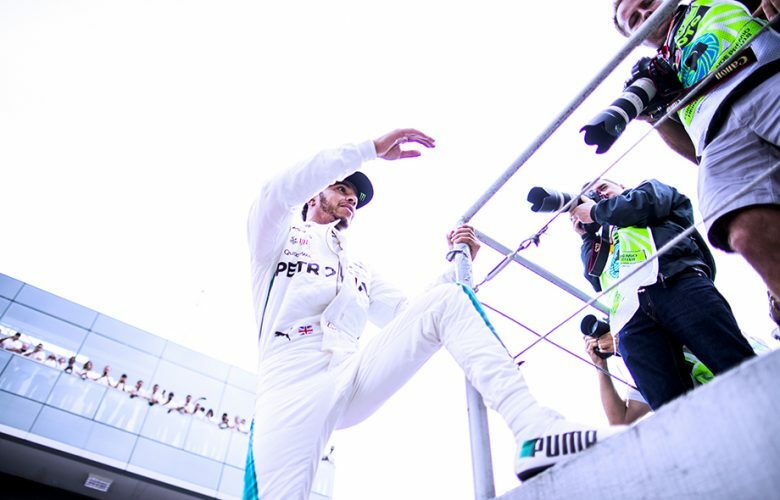 Lewis Hamilton of Great Britain and Mercedes AMG Petronas climbs on the photographer's tower after claiming his personal 82nd and his team's 100th Pole Position during qualifying for the Brazilian Formula One Grand Prix at Autodromo Jose Carlos Pace on November 10, 2018 in Sao Paulo, Brazilian. 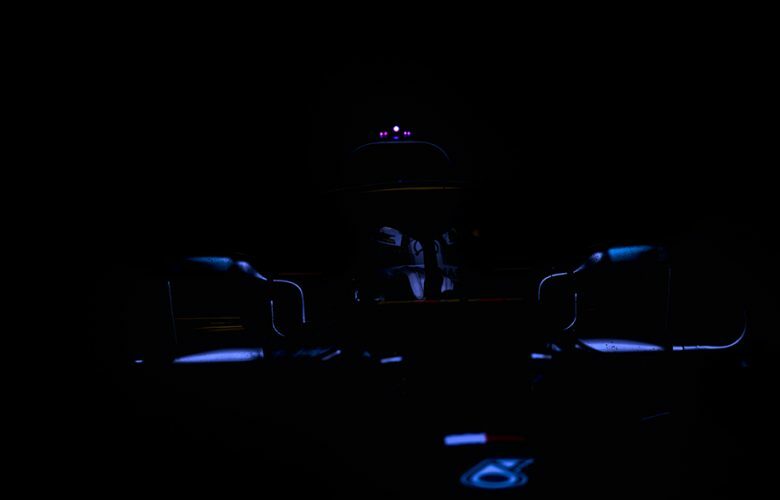 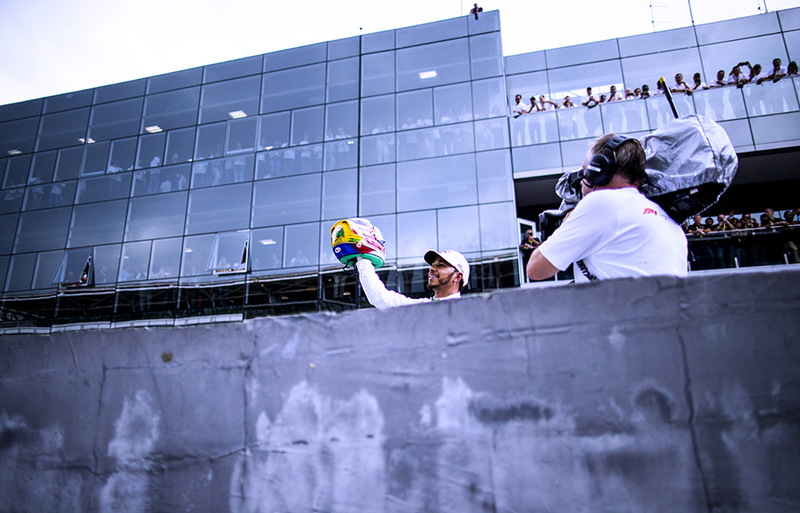 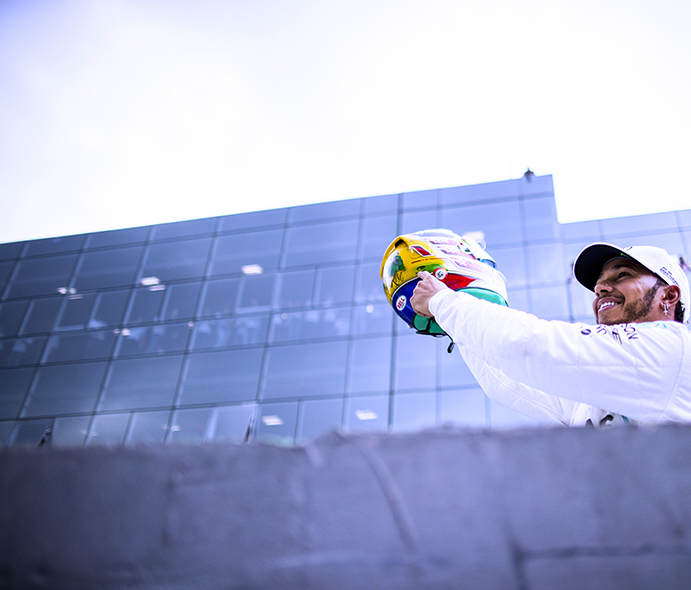 Lewis Hamilton of Great Britain and Mercedes AMG Petronas presents to the fans his Ayrton Senna inspired helmet design after claiming his personal 82nd and his team's 100th Pole Position during qualifying for the Brazilian Formula One Grand Prix at Autodromo Jose Carlos Pace on November 10, 2018 in Sao Paulo, Brazilian. Lewis Hamilton of Great Britain and Mercedes AMG Petronas in Parc Ferme after claiming his personal 82nd and his team's 100th Pole Position during qualifying for the Brazilian Formula One Grand Prix at Autodromo Jose Carlos Pace on November 10, 2018 in Sao Paulo, Brazilian. 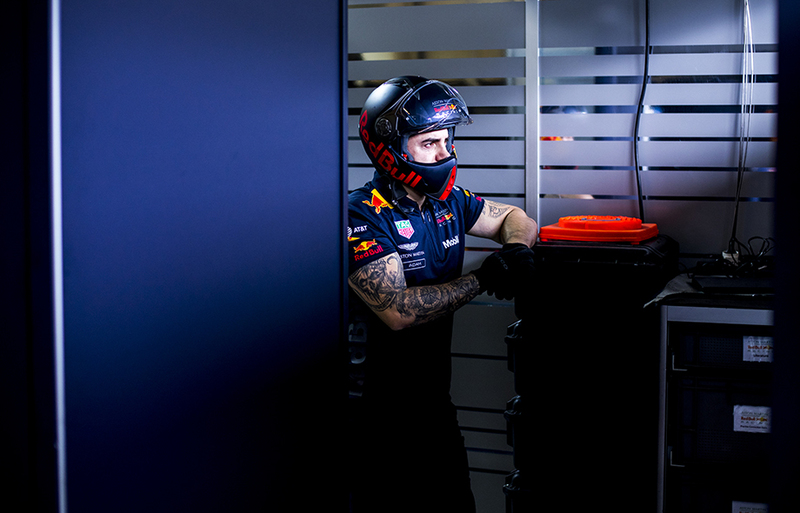 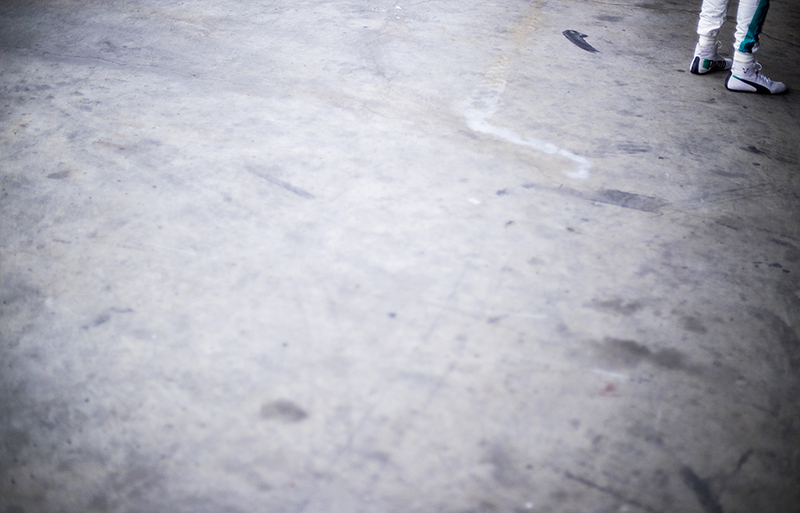 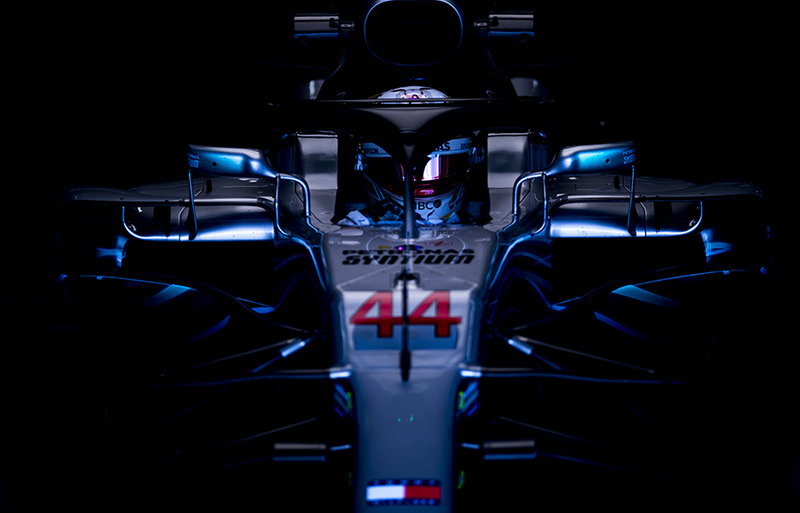 Aston Martin Red Bull Racing mechanic in the back of the garage during practice for the Brazilian Formula One Grand Prix at Autodromo Jose Carlos Pace on November 09, 2018 in Sao Paulo, Brazilian. 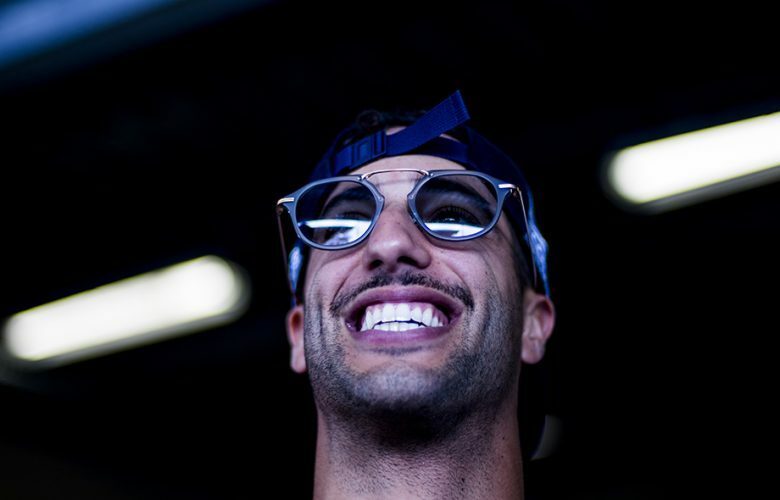 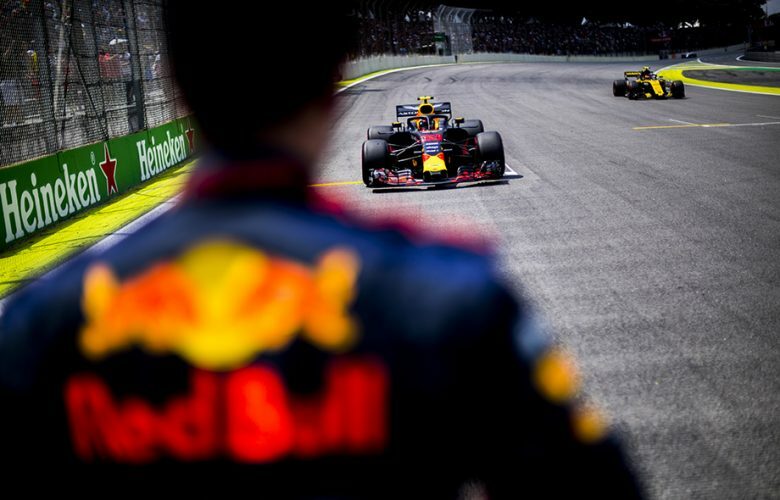 Daniel Ricciardo of Australia and Aston Martin Red Bull Racing is pictured ahead of the Brazilian Formula One Grand Prix at Autodromo Jose Carlos Pace on November 11, 2018 in Sao Paulo, Brazilian. 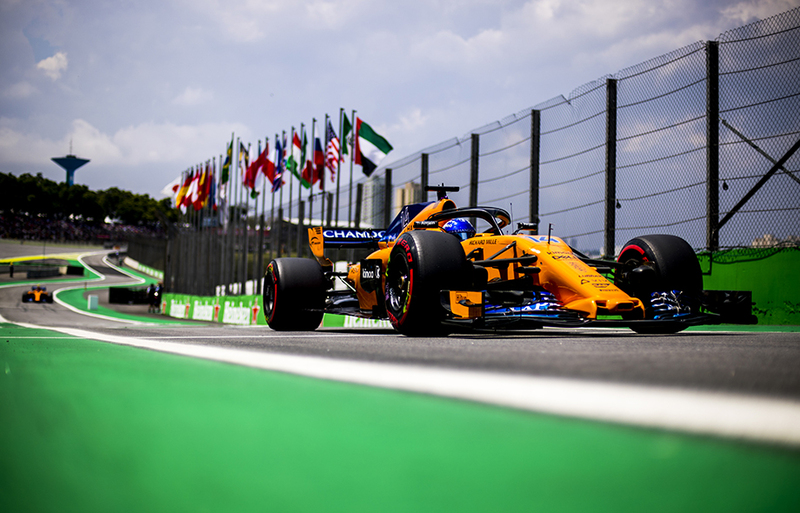 Fernando Alonso of Spain and McLaren drives into the pits prior to the Brazilian Formula One Grand Prix at Autodromo Jose Carlos Pace on November 11, 2018 in Sao Paulo, Brazilian. 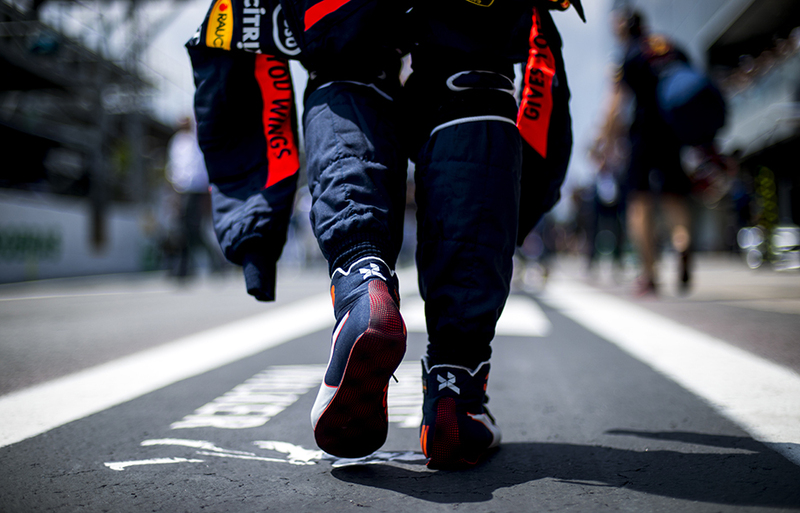 Daniel Ricciardo of Australia and Aston Martin Red Bull Racing walks down the pitlane prior to the Brazilian Formula One Grand Prix at Autodromo Jose Carlos Pace on November 11, 2018 in Sao Paulo, Brazilian. 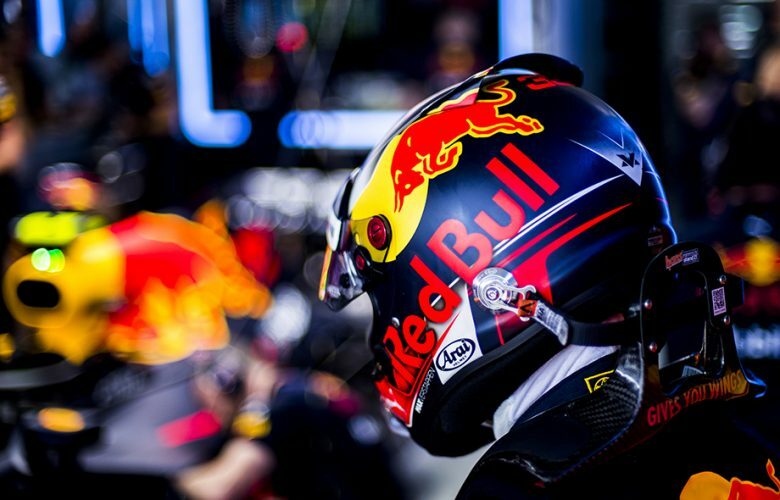 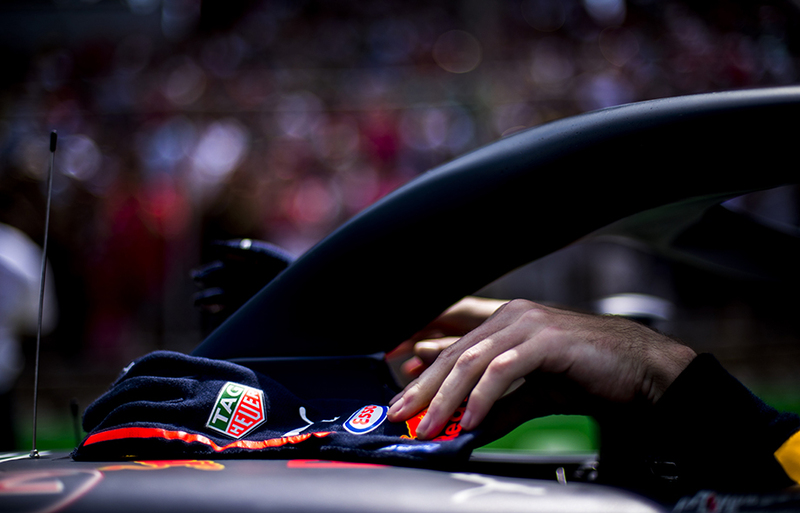 Max Verstappen of Netherlands and Aston Martin Red Bull Racing inside his cockpit on the grid prior to the Brazilian Formula One Grand Prix at Autodromo Jose Carlos Pace on November 11, 2018 in Sao Paulo, Brazilian. 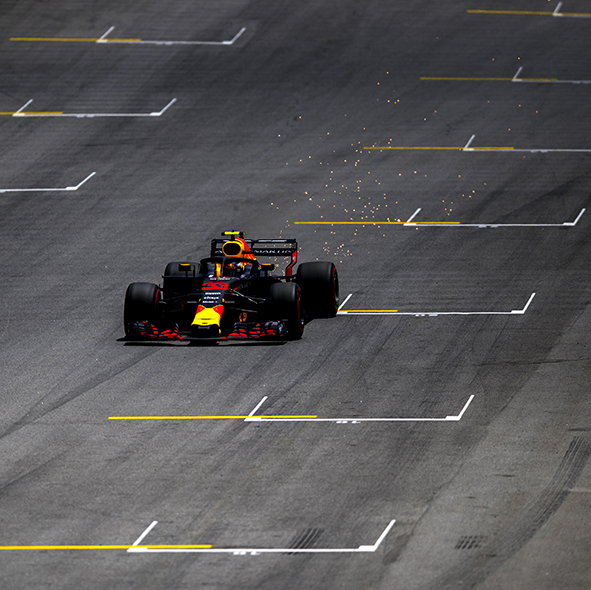 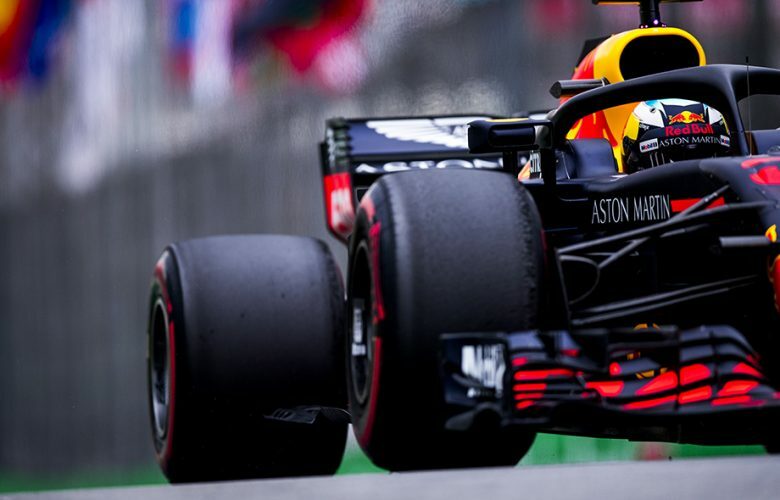 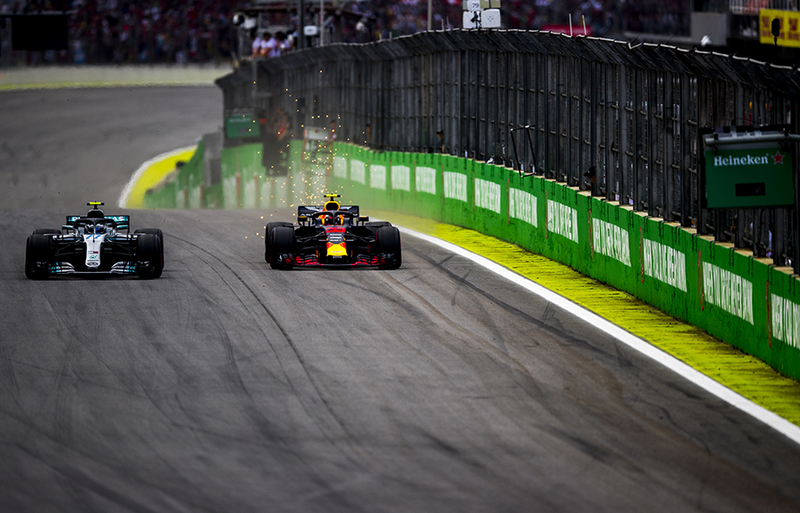 Max Verstappen of Netherlands and Aston Martin Red Bull Racing drives through the pits prior to the Brazilian Formula One Grand Prix at Autodromo Jose Carlos Pace on November 11, 2018 in Sao Paulo, Brazilian. 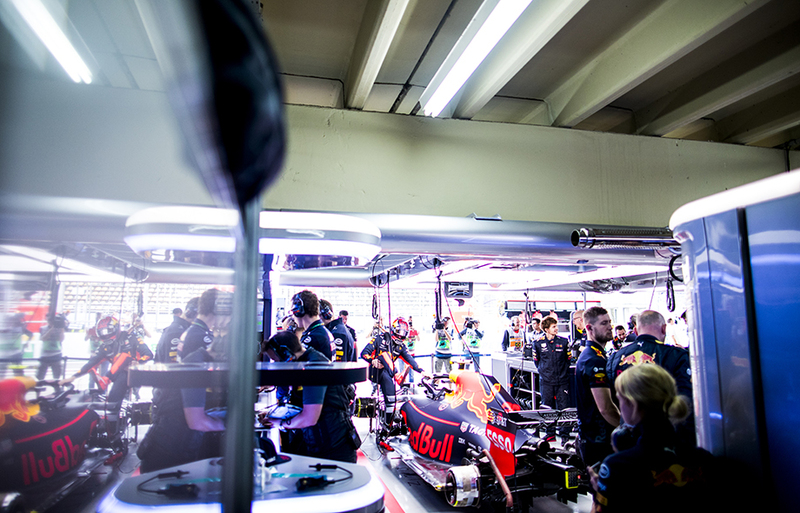 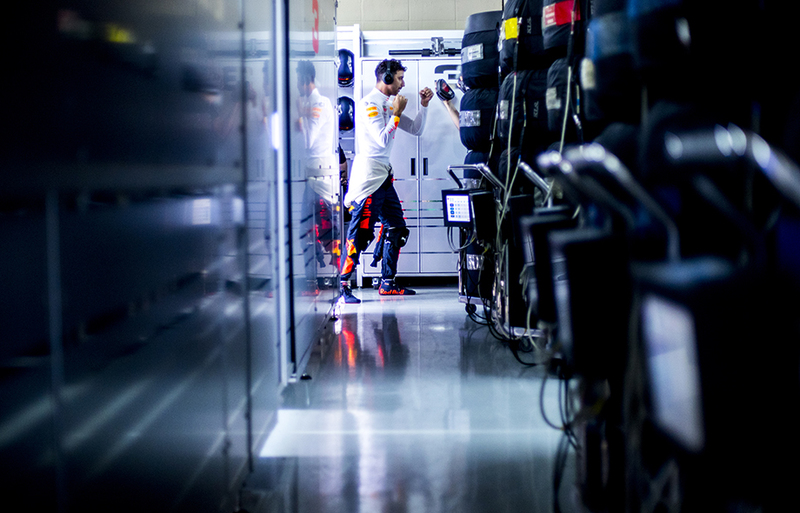 Daniel Ricciardo of Australia and Aston Martin Red Bull Racing warms up in the back of the garage prior to the Brazilian Formula One Grand Prix at Autodromo Jose Carlos Pace on November 11, 2018 in Sao Paulo, Brazilian. 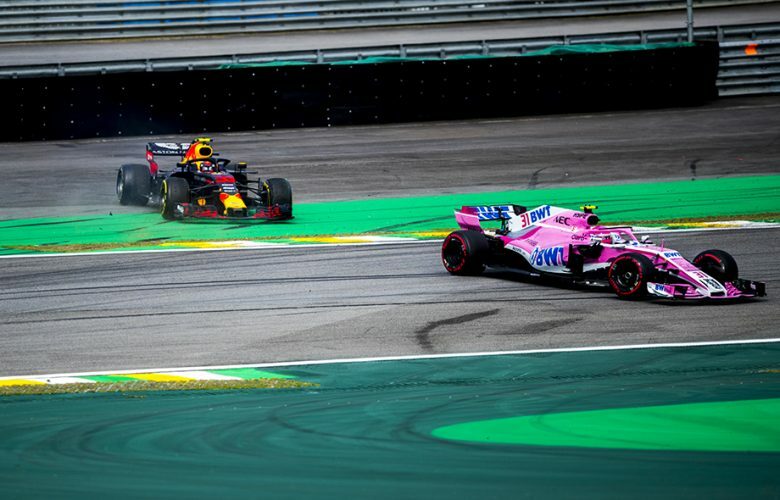 Max Verstappen of Netherlands and Aston Martin Red Bull Racing and Carlos Sainz of Spain and Renault Sport Formula 1 Team arrive on the grid prior to the Brazilian Formula One Grand Prix at Autodromo Jose Carlos Pace on November 11, 2018 in Sao Paulo, Brazilian. 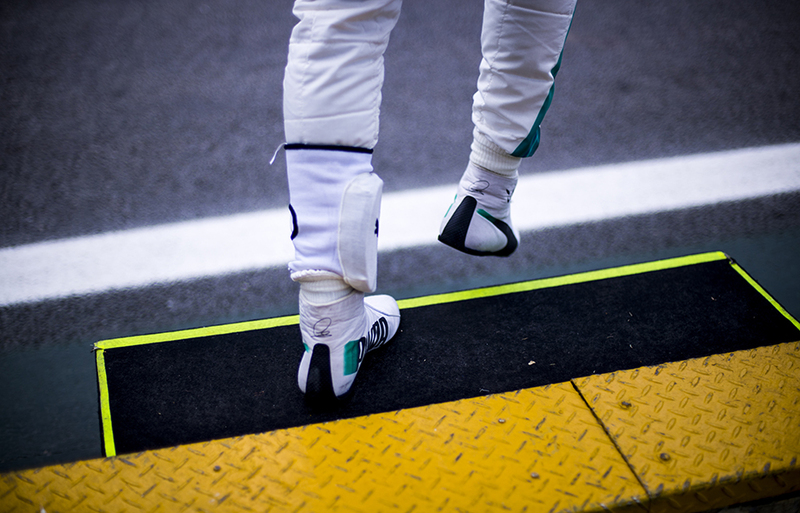 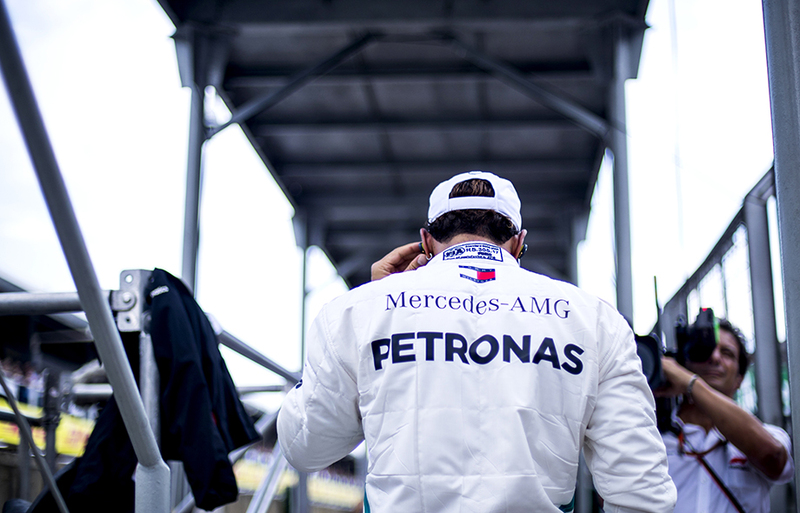 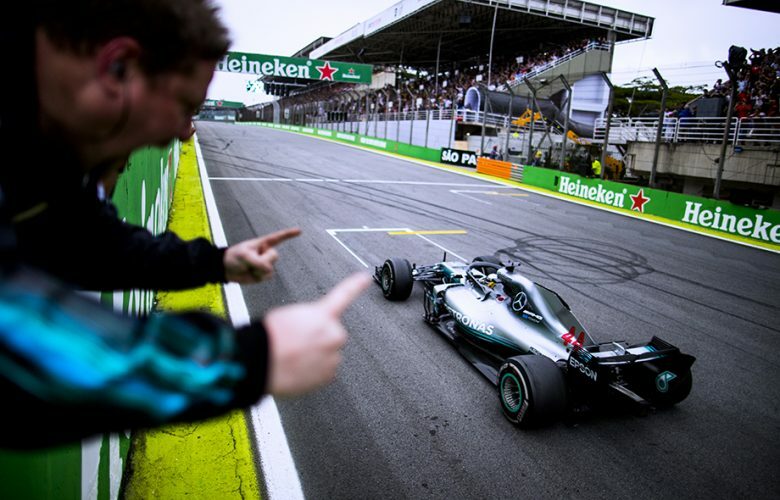 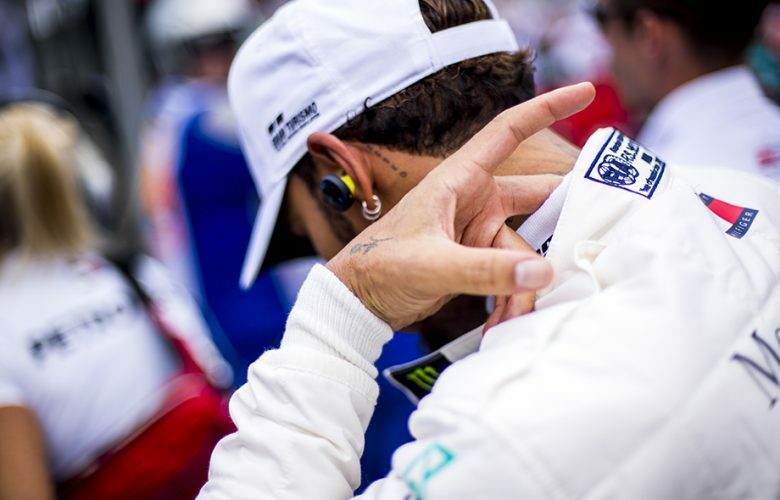 Lewis Hamilton of Great Britain and Mercedes AMG Petronas steps out of his car on the grid ahead of the Brazilian Formula One Grand Prix at Autodromo Jose Carlos Pace on November 11, 2018 in Sao Paulo, Brazilian. 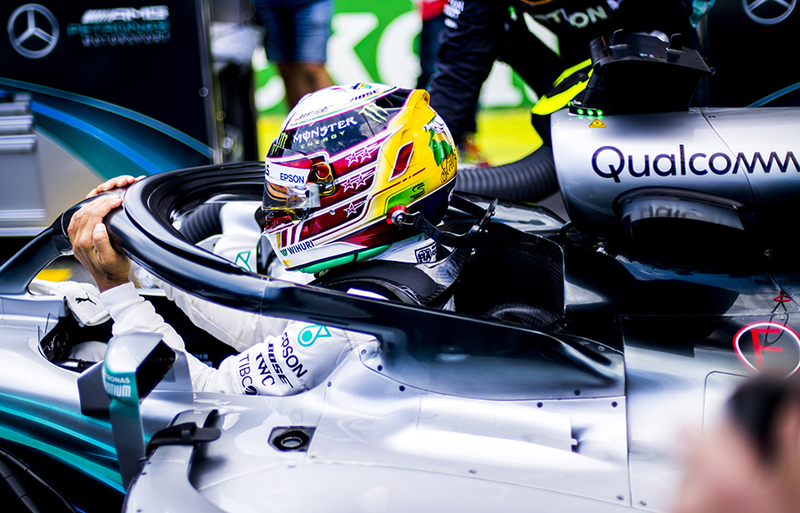 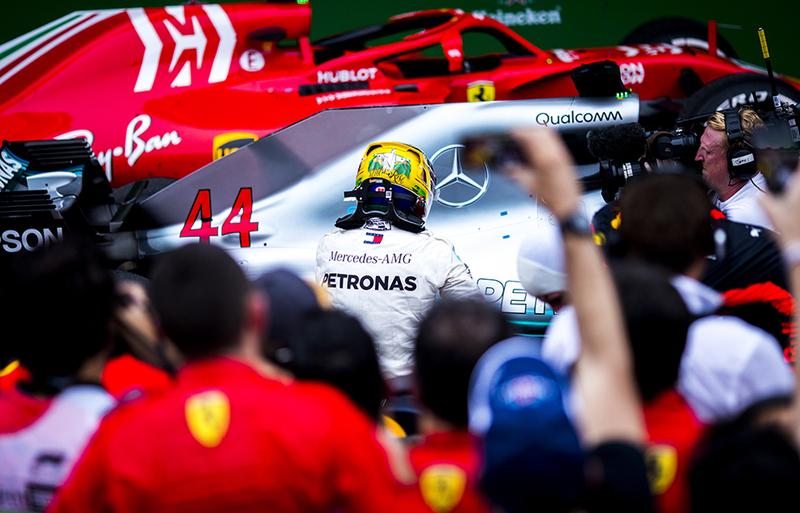 Lewis Hamilton of Great Britain and Mercedes AMG Petronas on the grid prior to the Brazilian Formula One Grand Prix at Autodromo Jose Carlos Pace on November 11, 2018 in Sao Paulo, Brazilian. 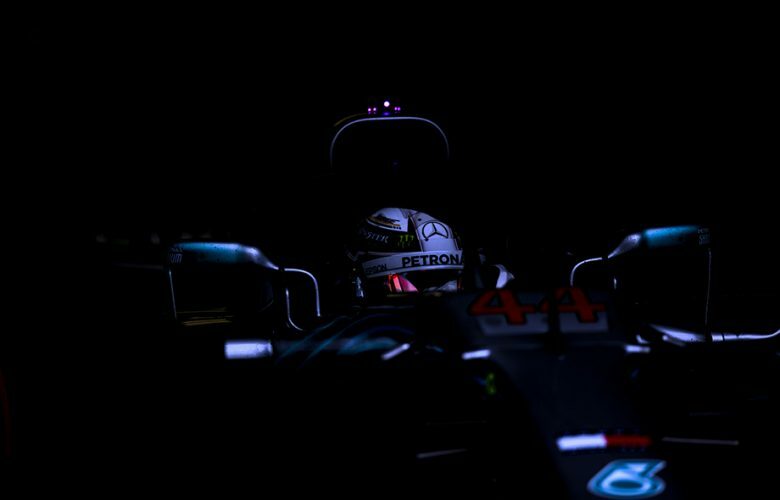 Lewis Hamilton of Great Britain and Mercedes AMG Petronas prior to the Brazilian Formula One Grand Prix at Autodromo Jose Carlos Pace on November 11, 2018 in Sao Paulo, Brazilian. 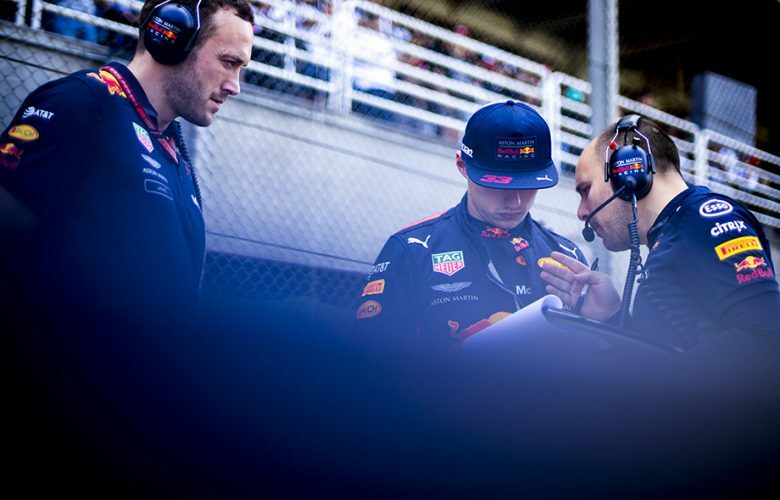 Max Verstappen of Netherlands and Aston Martin Red Bull Racing speaks to his race engineer Gianpiero Lambiase ahead of the Brazilian Formula One Grand Prix at Autodromo Jose Carlos Pace on November 11, 2018 in Sao Paulo, Brazilian. 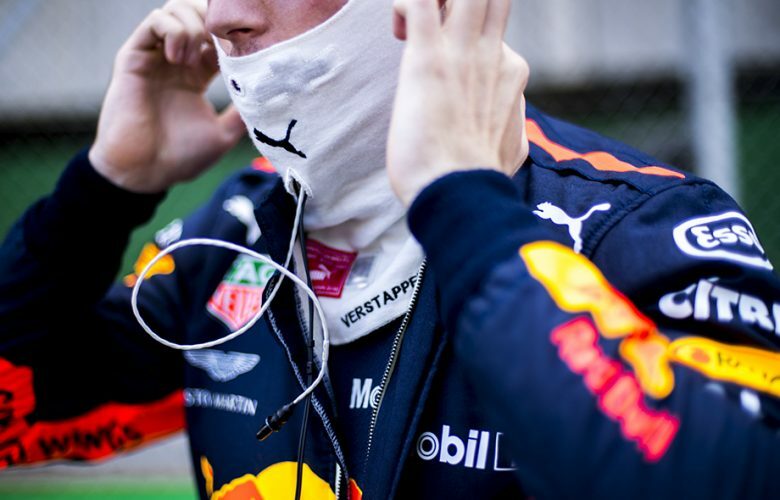 Max Verstappen of Netherlands and Aston Martin Red Bull Racing prepares on the grid prior to the Brazilian Formula One Grand Prix at Autodromo Jose Carlos Pace on November 11, 2018 in Sao Paulo, Brazilian. 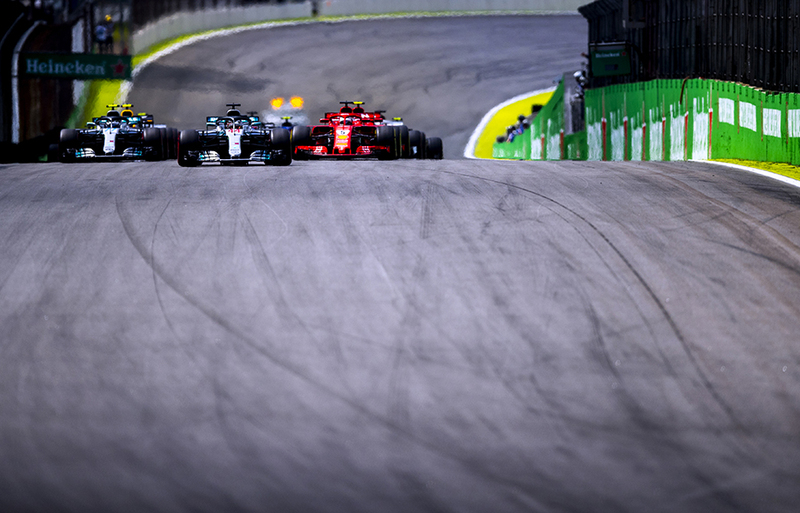 Lewis Hamilton of Great Britain and Mercedes AMG Petronas leads Sebastian Vettel of Germany and Scuderia Ferrari and Valtteri Bottas of Finland and Mercedes AMG Petronas into turn one during the Brazilian Formula One Grand Prix at Autodromo Jose Carlos Pace on November 11, 2018 in Sao Paulo, Brazilian. 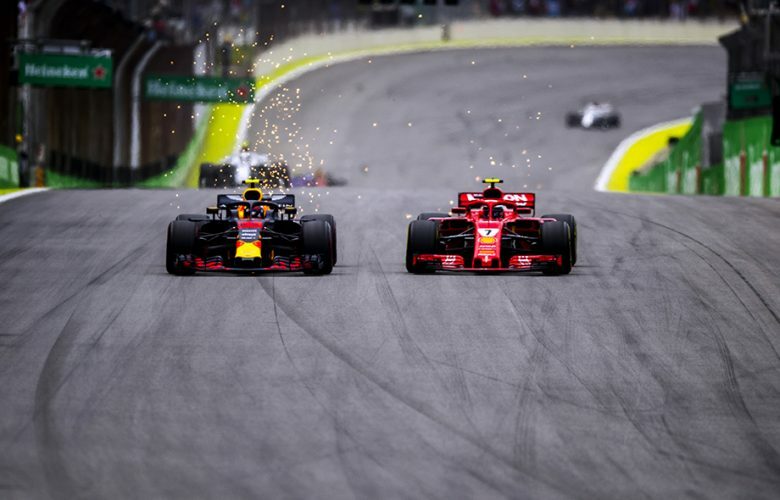 Max Verstappen of Netherlands and Aston Martin Red Bull Racing overtakes Kimi Raikkonen of Finland and Scuderia Ferrari during the Brazilian Formula One Grand Prix at Autodromo Jose Carlos Pace on November 11, 2018 in Sao Paulo, Brazilian. 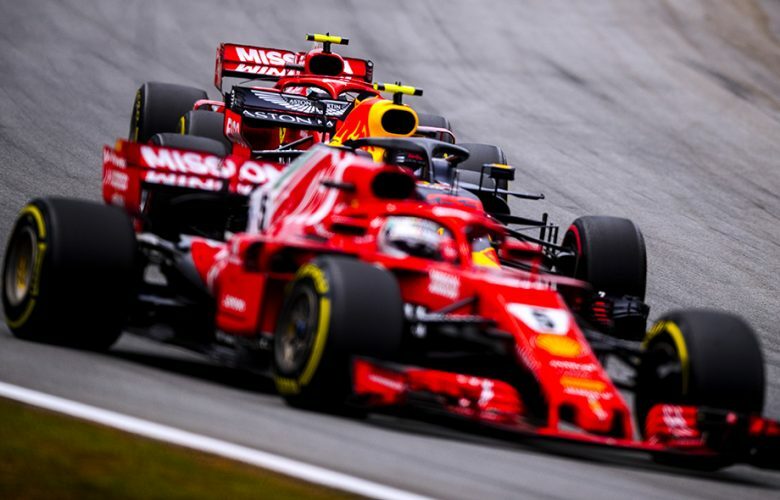 Max Verstappen of Netherlands and Aston Martin Red Bull Racing overtakes Kimi Raikkonen of Finland and Scuderia Ferrari as his team mate Sebastian Vettel of Germany and Scuderia Ferrari holds his position during the Brazilian Formula One Grand Prix at Autodromo Jose Carlos Pace on November 11, 2018 in Sao Paulo, Brazilian. 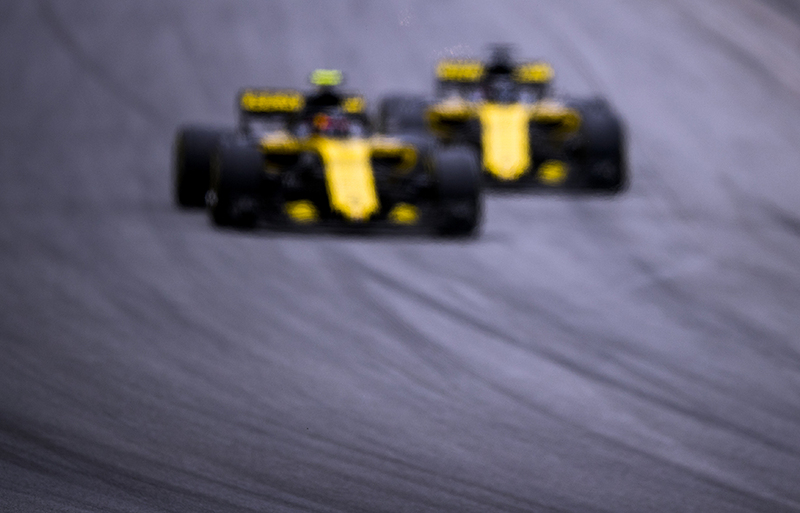 Carlos Sainz of Spain and Renault Sport Formula 1 Team and his team mate Nico Hulkenberg of Germany and Renault Sport Formula 1 Team battle during the Brazilian Formula One Grand Prix at Autodromo Jose Carlos Pace on November 11, 2018 in Sao Paulo, Brazilian. 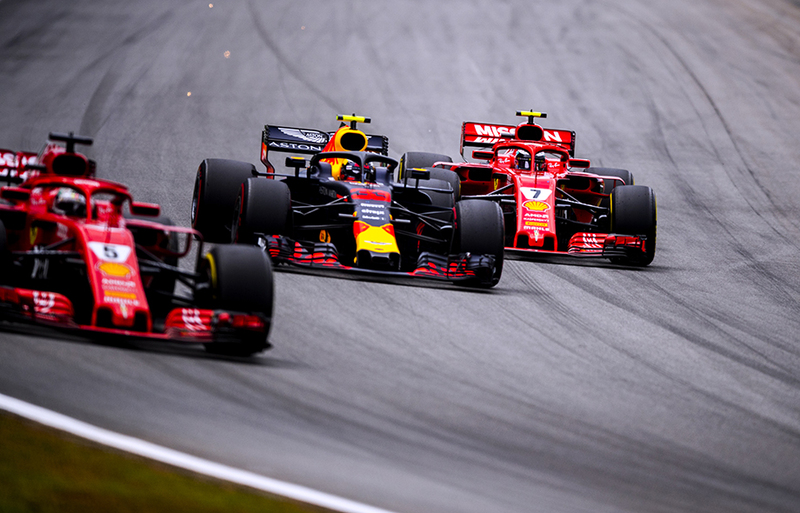 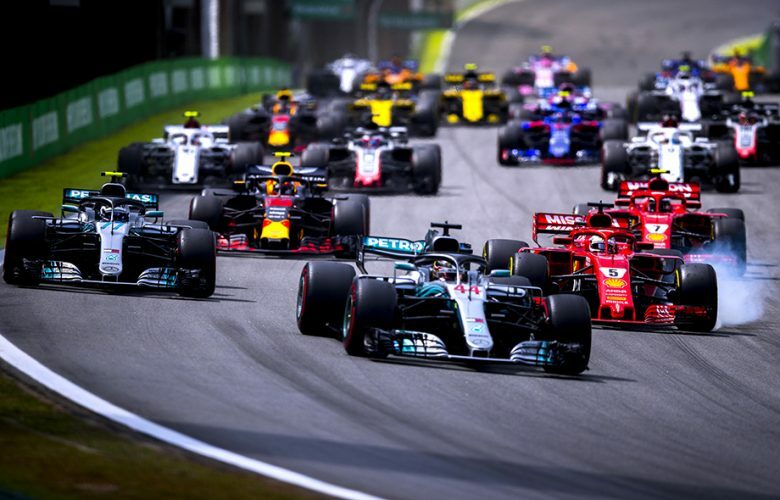 Max Verstappen of Netherlands and Aston Martin Red Bull Racing overtakes Valtteri Bottas of Finland and Mercedes AMG Petronas during the Brazilian Formula One Grand Prix at Autodromo Jose Carlos Pace on November 11, 2018 in Sao Paulo, Brazilian. 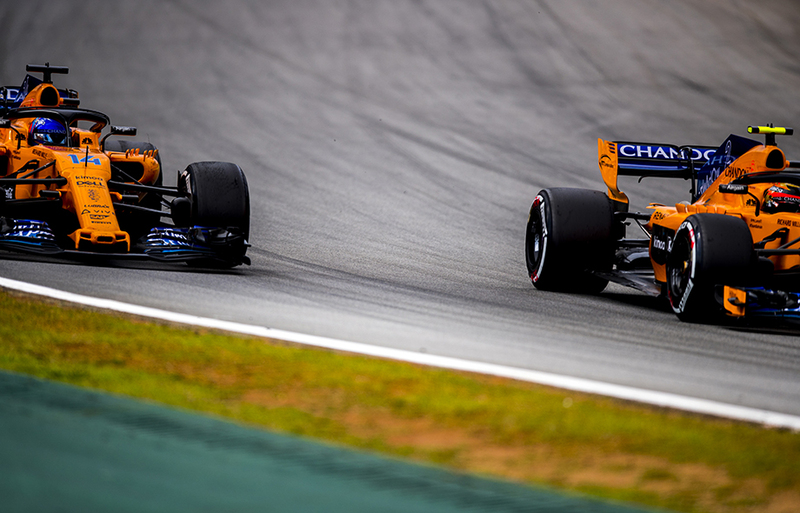 Fernando Alonso of Spain and McLaren battles with his team mate Stoffel Vandoorne of Belgium and McLarenduring the Brazilian Formula One Grand Prix at Autodromo Jose Carlos Pace on November 11, 2018 in Sao Paulo, Brazilian. 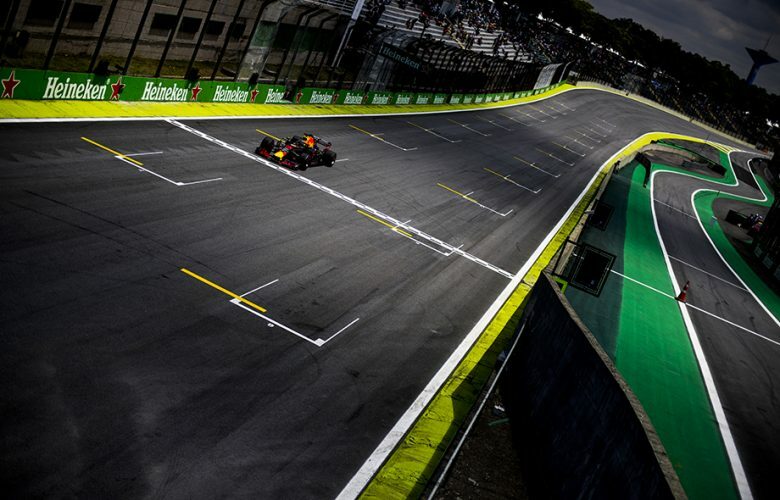 Max Verstappen of Netherlands and Aston Martin Red Bull Racing drives his RB14 during the Brazilian Formula One Grand Prix at Autodromo Jose Carlos Pace on November 11, 2018 in Sao Paulo, Brazilian. 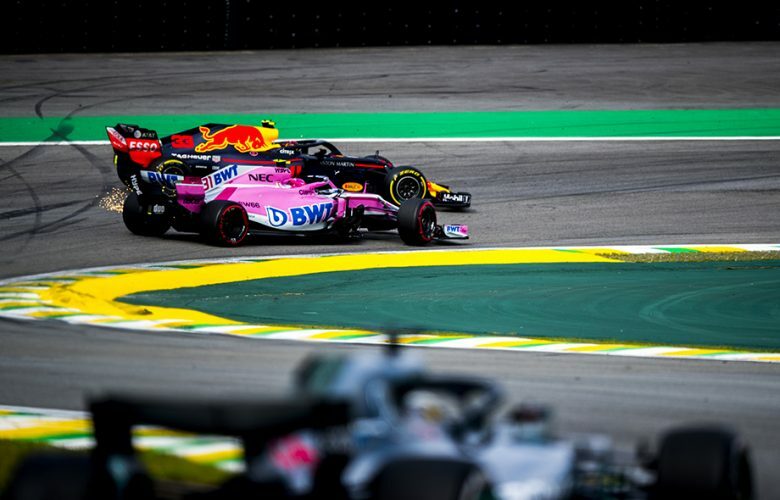 Max Verstappen of Netherlands and Aston Martin Red Bull Racing and Esteban Ocon of France and Racing Point Force India make a contact in turn two during the Brazilian Formula One Grand Prix at Autodromo Jose Carlos Pace on November 11, 2018 in Sao Paulo, Brazilian. 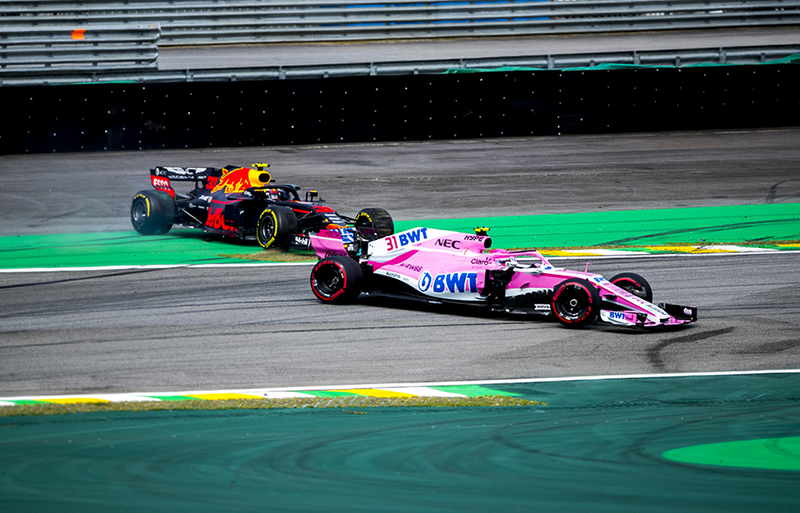 Max Verstappen of Netherlands and Aston Martin Red Bull Racing spins after making a contact with Esteban Ocon of France and Racing Point Force India giving Lewis Hamilton of Great Britain and Mercedes AMG Petronas the chance to retake the lead in the race during the Brazilian Formula One Grand Prix at Autodromo Jose Carlos Pace on November 11, 2018 in Sao Paulo, Brazilian. 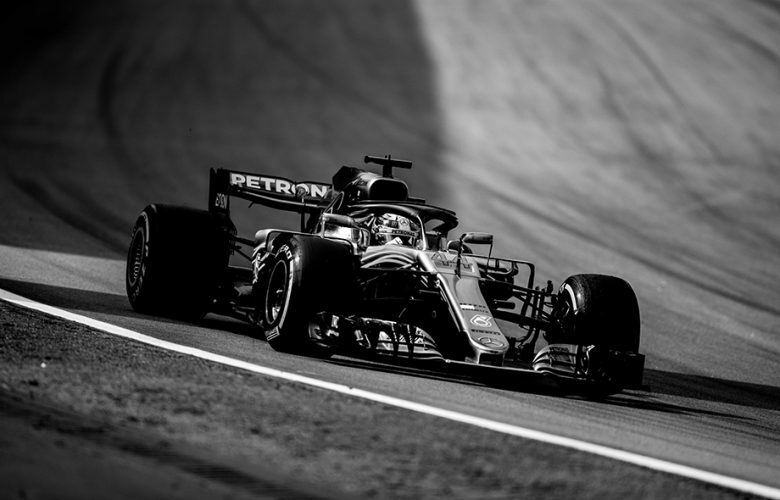 Lewis Hamilton of Great Britain and Mercedes AMG Petronas drives his W09 during the Brazilian Formula One Grand Prix at Autodromo Jose Carlos Pace on November 11, 2018 in Sao Paulo, Brazilian. 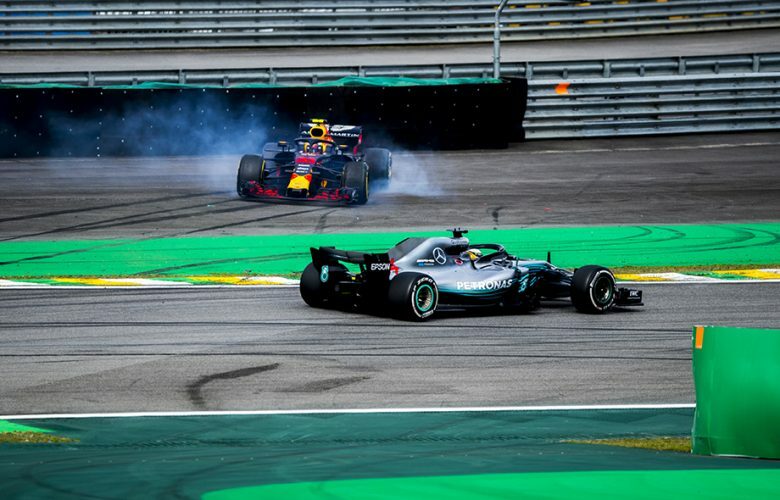 Lewis Hamilton of Great Britain and Mercedes AMG Petronas crosses the finish line to win the Brazilian Formula One Grand Prix at Autodromo Jose Carlos Pace on November 11, 2018 in Sao Paulo, Brazilian. 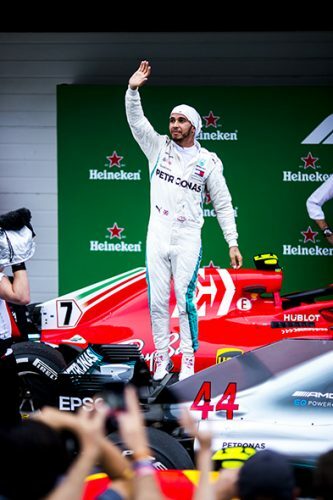 Lewis Hamilton of Great Britain and Mercedes AMG Petronas celebrates in Parc Ferme after winning the Brazilian Formula One Grand Prix at Autodromo Jose Carlos Pace on November 11, 2018 in Sao Paulo, Brazilian. 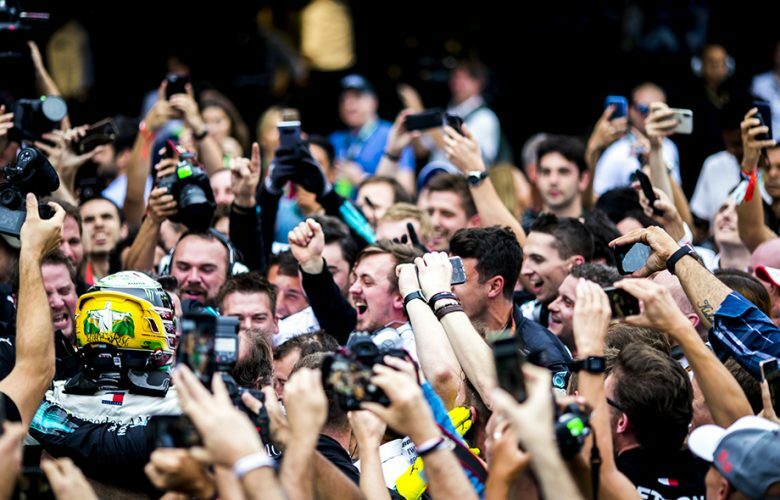 Lewis Hamilton of Great Britain and Mercedes AMG Petronas celebrates with his team after winning the Brazilian Formula One Grand Prix at Autodromo Jose Carlos Pace on November 11, 2018 in Sao Paulo, Brazilian. 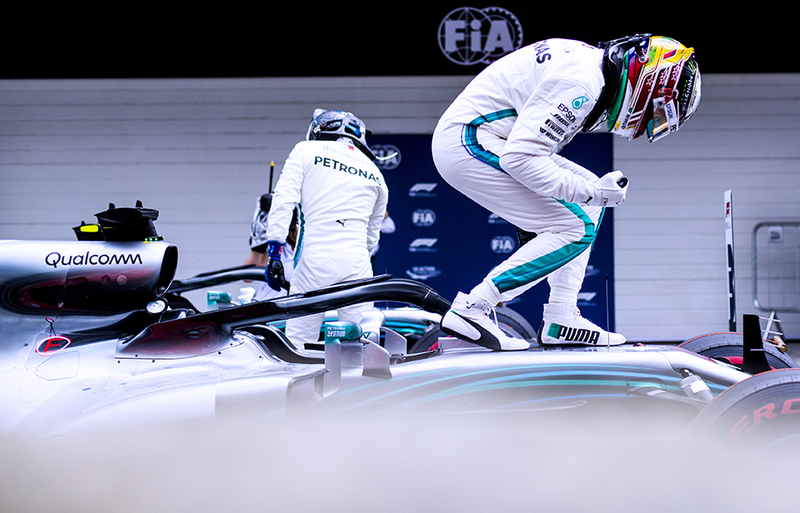 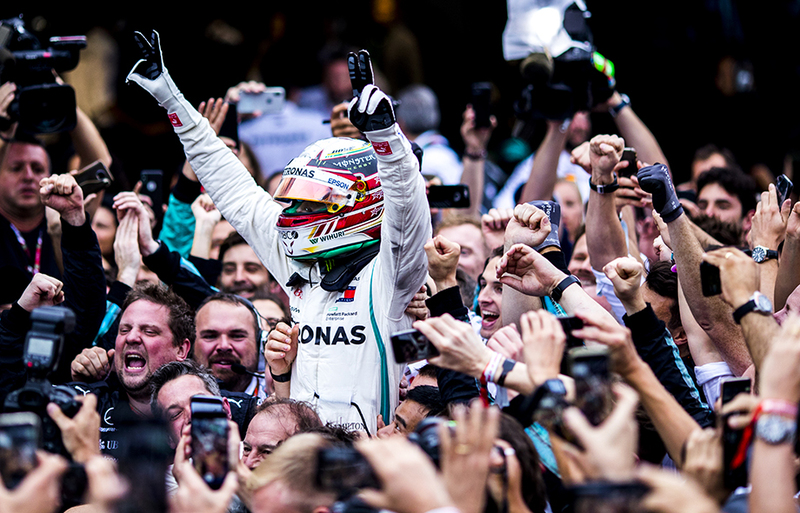 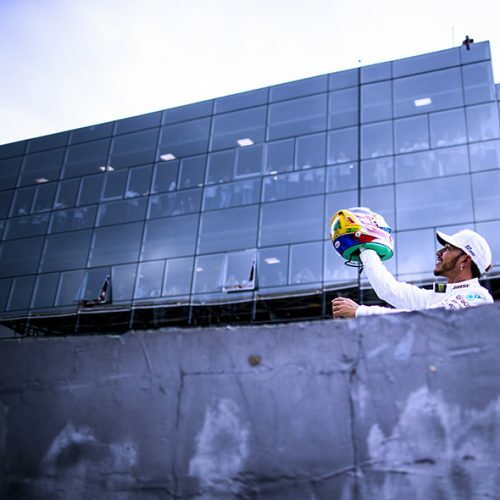 Lewis Hamilton of Great Britain and Mercedes AMG Petronas kneels down by his car after winning the Brazilian Formula One Grand Prix at Autodromo Jose Carlos Pace on November 11, 2018 in Sao Paulo, Brazilian. 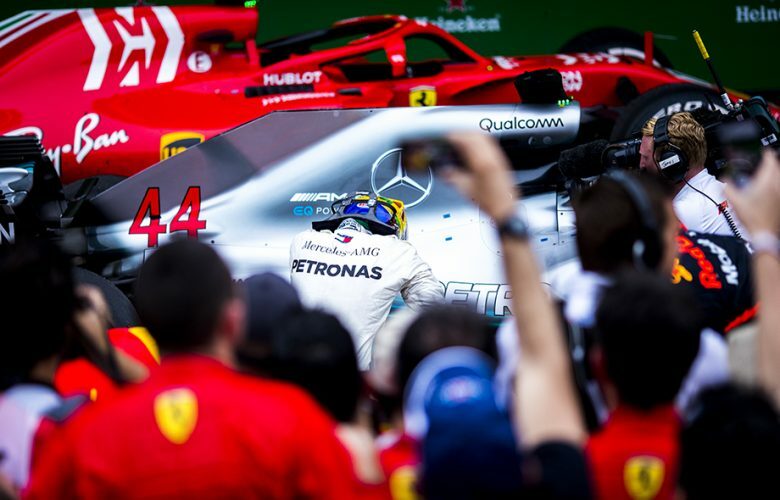 Lewis Hamilton of Great Britain and Mercedes AMG Petronas in Parc Ferme after winning the Brazilian Formula One Grand Prix at Autodromo Jose Carlos Pace on November 11, 2018 in Sao Paulo, Brazilian.